I promised I was going to have two Glambassador related giveaways this past week and I am here to make good on my deal! 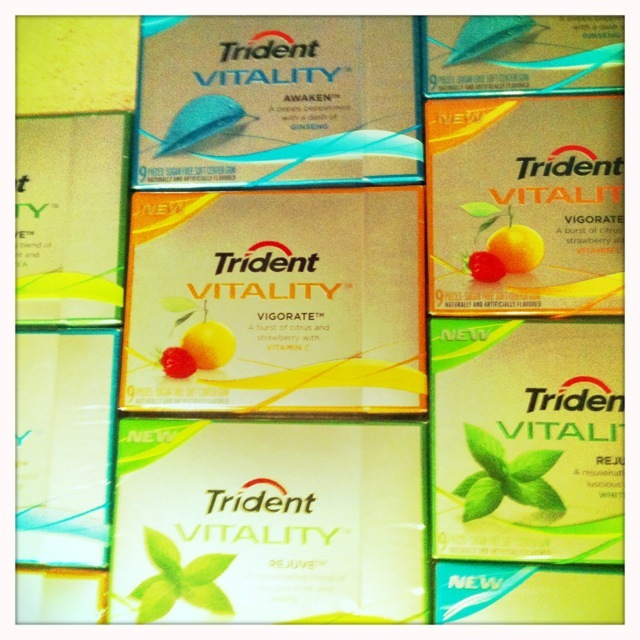 Trident is launching a new sugar free gum line this month called VITALITY! It comes in three great flavors, including Vigorate a citrus blended with strawberry, Awaken with peppermint and Ginseng, and Rejuve that fuses mint with white tea. While I find all three flavors appealing I am leaning towards Vigorate as my favorite thanks to its addition of citrus. Now one of you can help me pick a favorite as well! Glamour sent me packs to try and I would like to share samples of each with one of you! From now until Friday leave me a comment if you would be interested in trying this tasty new product from Trident! Friday afternoon I will draw a winner! Ahh. Now that sounds like my cuppa tea!